Hite Funeral Home has graciously invested back into the community once again to promote the saving of lives by continuing to sponsor the Vital ICE App. Hite Funeral Home recognized a very unique opportunity to assist our local first responders through an ingenious marketing initiative that could help save lives. 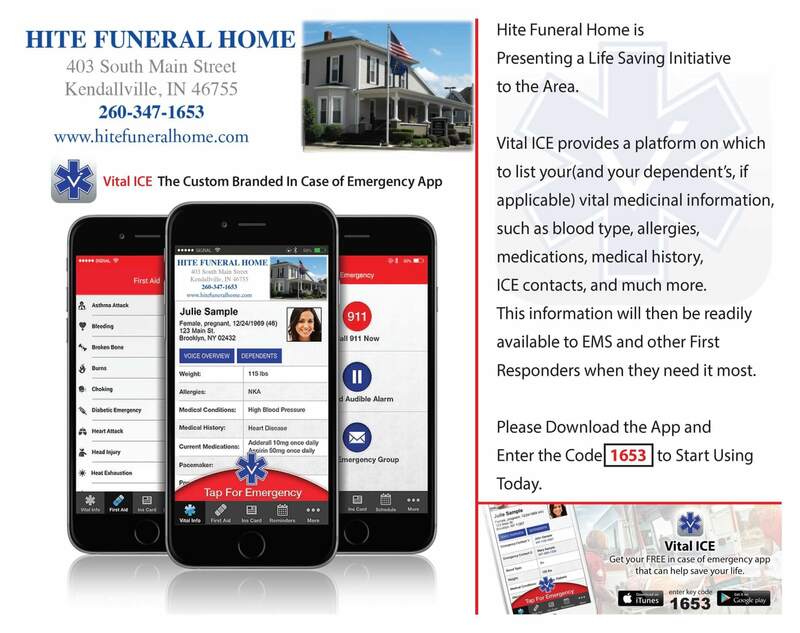 The caring staff at Hite Funeral Home asks that you download the Vital ICE App, from either the Apple App Store or Google Play for your smartphone, or enter www.vitalboards.com/downloadapp into your mobile browser, and enter in their code: 1653 if you have not done so already. Hite Funeral Home is making this potentially life-saving app available for free to download in the community as a way of showing their gratitude for allowing them to serve you. 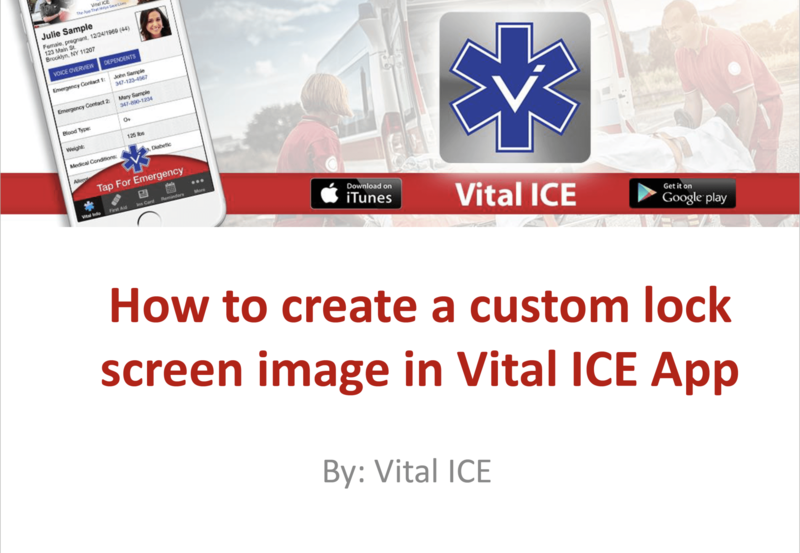 They ask that you please take just a few minutes to download the Vital ICE app and fill in the information so that you are prepared in case of an emergency so that your user provided medical information is easily accessible by emergency first responders. Included is also an Emergency Alert System that is remarkable for seniors, as well as a medication reminder feature that keeps track of all medications. This app is available to the entire community, regardless of age, so do not pass up this great life-saving opportunity. Taking 5 minutes now could mean the difference in saving your life. 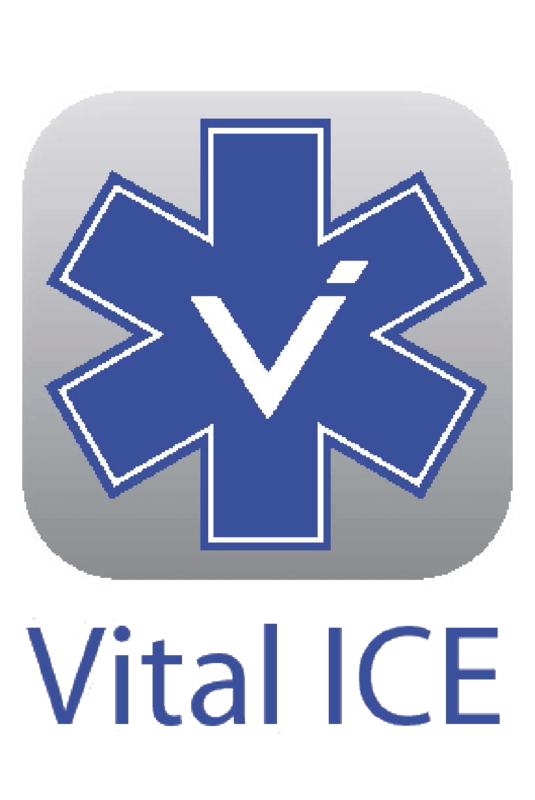 In the event of an emergency, first responders can use the Vital ICE app to retrieve the user’s vital information. This information can then be easily taken on the ambulance to the hospital, or emailed directly to the hospital from the app, where ER staff can further access this critical information. Remember, time is of the essence when saving lives! 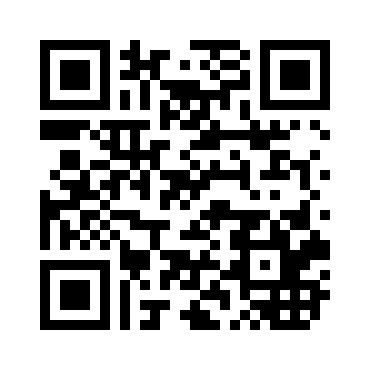 To create a custom lock screen image in Vital ICE click the image below.